Yes, Seattle is a beautiful place. The unrelenting gloomy drizzle is more than made up for by the picturesque scenery, complete with lush forests, snow-capped mountains, and vast bodies of water dotted with skittering ferry boats (Grey’s Anatomy, anyone?). But the setting is only a bonus for me, because the main reason I’ve always dreamed of visiting this city is for the food. Seattle has built a vibrant food culture with a strong support network for local producers, resulting in some of the freshest, most full-of-character grub I’ve ever seen. When I found out that I’d be living here for the summer, I knew that I had to get started on my long list of food-related expeditions right away. 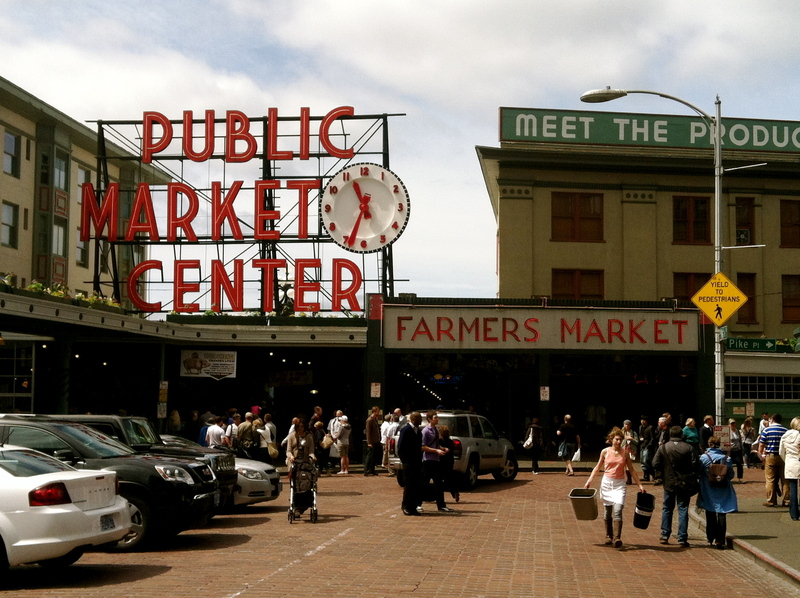 The first stop was Pike Place Market, AKA Foodie Mecca. 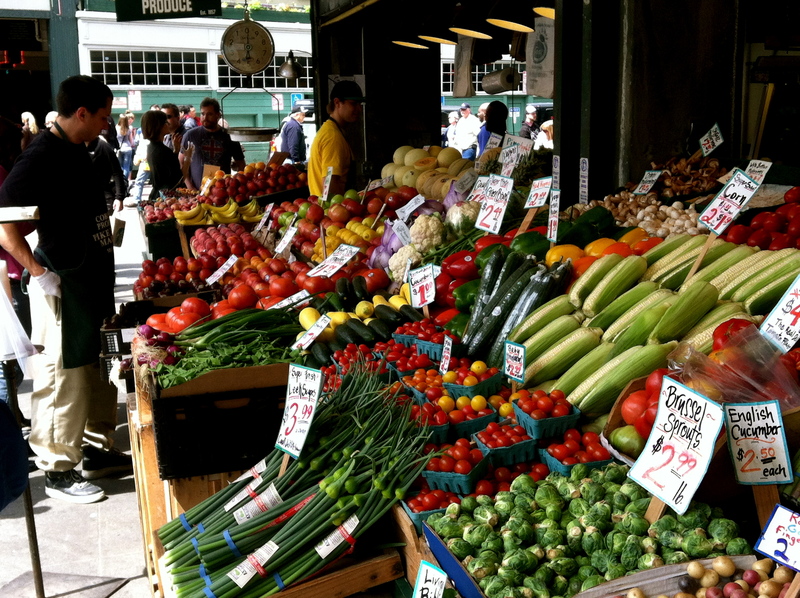 This historic, open-air market in the heart of Seattle is overflowing with incredible shops and quality food stands peddling anything you could imagine. It secured a spot on my list of favorite places ever on sight, and I spent an entire day wandering around and eating everything I could get my hands on. Here’s my list of the must-sees and must-eats when you make your pilgrimage to this foodie holy land. Whether you’re a seafood lover or not, stopping by this famous stand is mandatory. 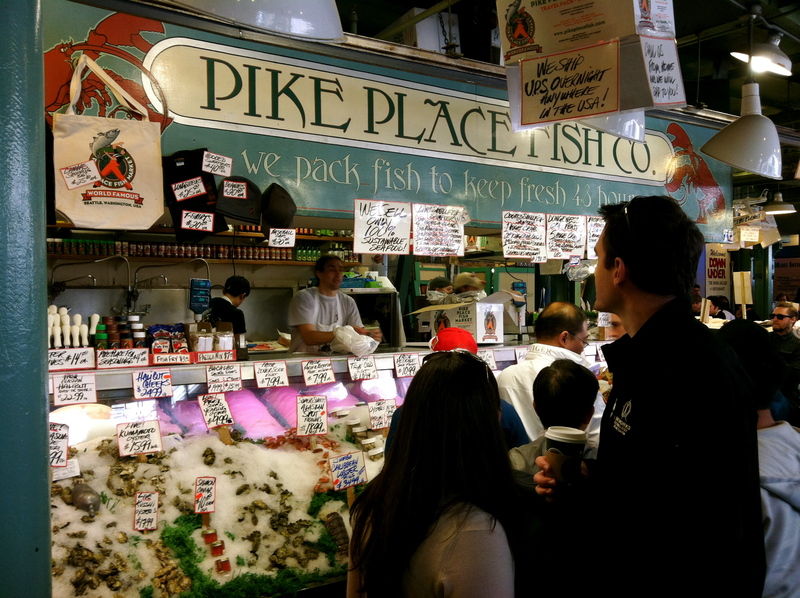 The spread alone, including coveted Copper River salmon, whitefish, crab, shellfish and more, is something worth seeing, but the fishmongers really make the experience. Decked out in orange rubber overalls, they casually toss the seafood amongst themselves, laughing and joking around as they put on a show for onlookers and customers. Just remember to watch your head! When they say their mac & cheese is the “world’s best,” they’re not joking. 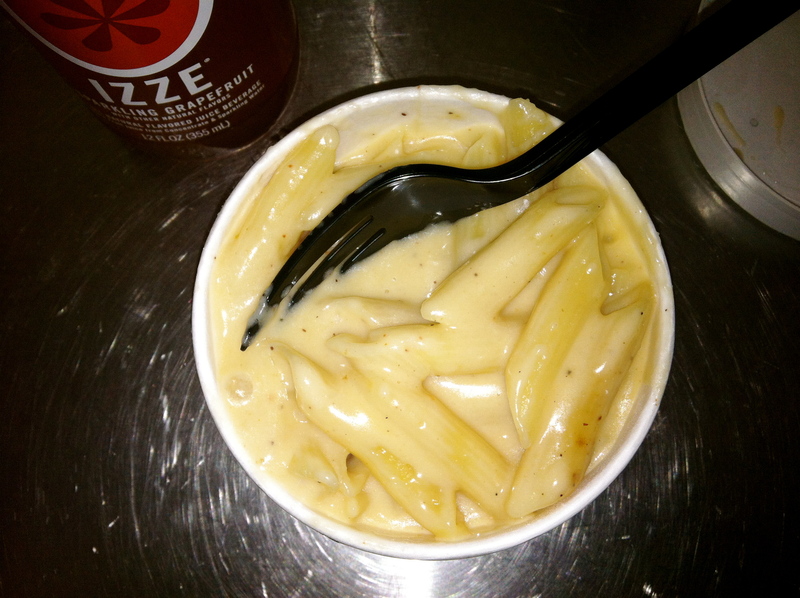 A silky cheese sauce made with Beecher’s aged Flagship cheese coats penne pasta to make the creamiest, most delicious mac I’ve tasted. There aren’t many secrets to the science of their ingredients either. The cheesemaking process takes place right before your eyes in an enclosed glass room right off of the store. Grab a wedge to pair with some crackers and wine at home, or take a seat and peer in as fresh curds are made and packed. 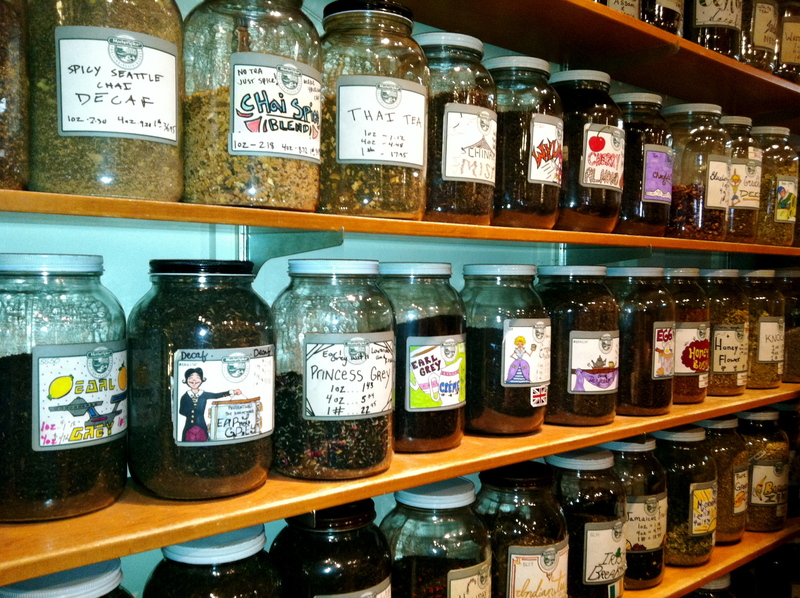 This place is a wonderland for tea and spice connoisseurs. As soon as you enter, you’re hit with a wall of aromatics. Pour a cup of complimentary MarketSpice Signature iced tea and spend a while scanning the shelves packed with small batch teas and spice blends boasting quirky names like Banana Zing, Morning Sun, and Princess Grey. The only description I received to help me find this place was: “a stand close by with cheap, delicious donuts,” and as soon as I saw how packed the streets were with stores and vendors, I didn’t think there was any chance I’d be able to find this under-the-radar doughnut stand. But it wasn’t until I wandered back toward the fish market that I smelled it: the sweet scent of fried doughy goodness. I spun around to find an unassuming shack pumping out tiny rounds of heaven with a little machine called the Donut Robot Mark II. 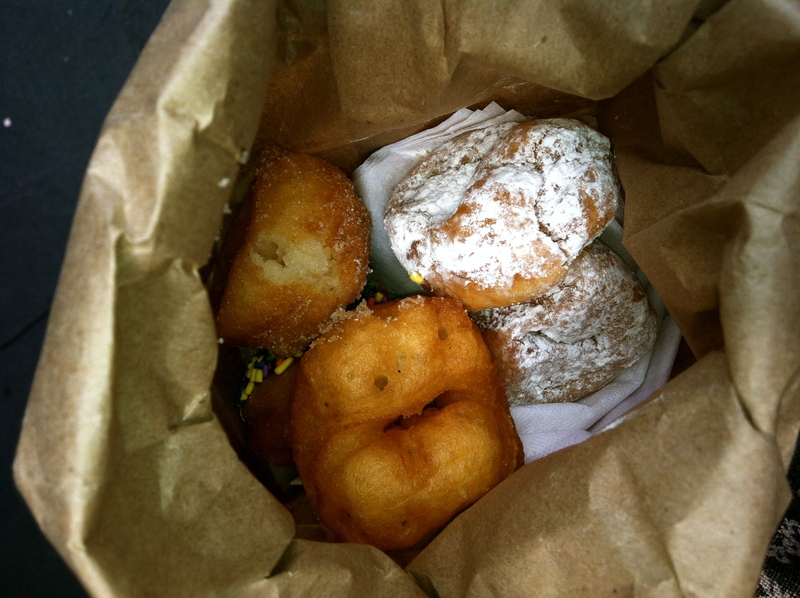 To start a day at the market, you absolutely must grab a greasy bag of these doughnuts. They’re slightly crisp on the outside, fluffy and doughy on the inside. You’ll be munching them like potato chips. Okay, so maybe you drink Starbucks coffee five days a week all through the semester, but isn’t there something intriguing about sipping a Venti caramel machiatto from the original location? 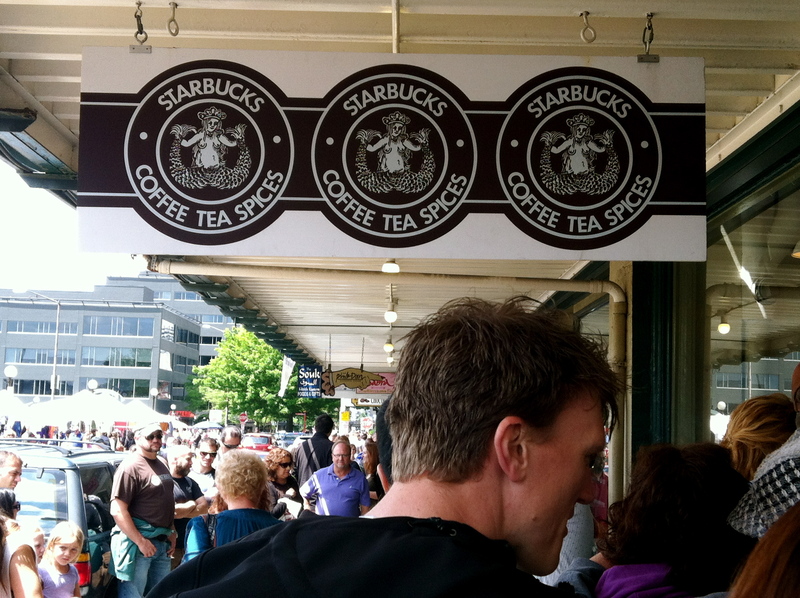 The first ever store opened in 1971, and although you can now find at least one of the chain locations per block in the Seattle area, this one always has a line out the door. Order the usual, browse the souvenir mugs, and make sure to check out the genuine Starbucks mermaid in all of her uncensored glory. Hannah Doolin is a senior at Syracuse University. When she’s not skiing or writing, you can find her watching Top Chef, stalking Anthony Bourdain or trying out new recipes with her five lovely roommates. Yay! I grew up in the Seattle eastside area so I love this article! I hope to see more Seattle articles while you’re here!